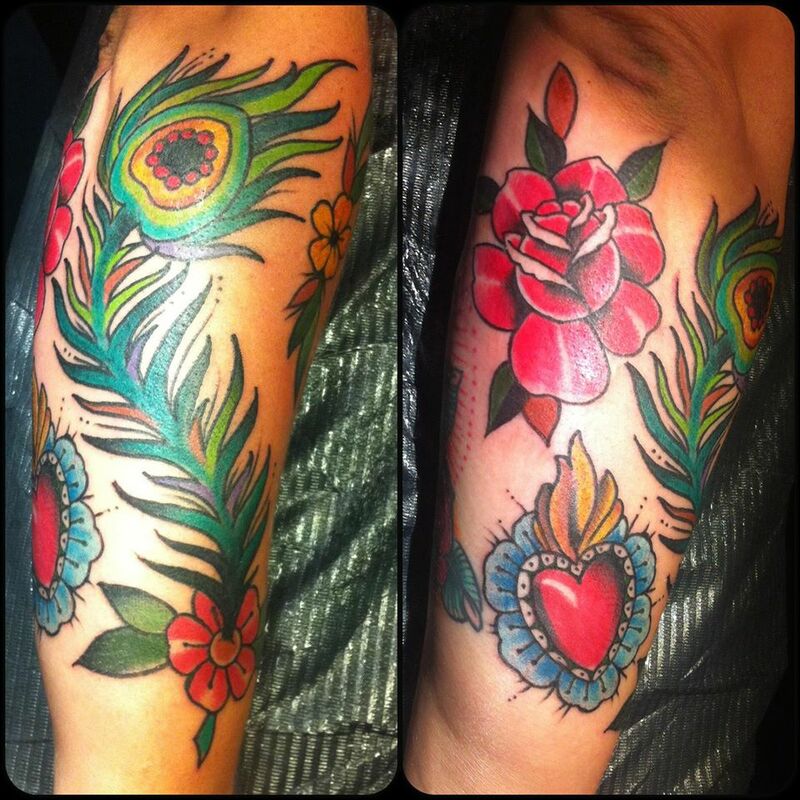 Inkstitution Tattooing: Some traditional action from the guys.. 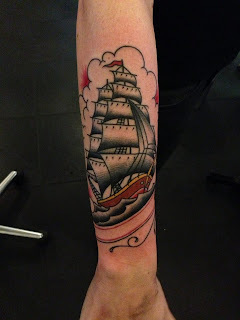 Sailor Jerry boat by Miguel.. 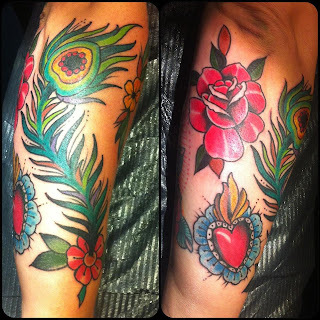 Some arm fillers by Gabriele..